Scotland’s Wildlife is enduring and experiencing the very unusual weather fronts sweeping in over the country for the past two months, the rainfall for this time of year has broken all the records since records began. 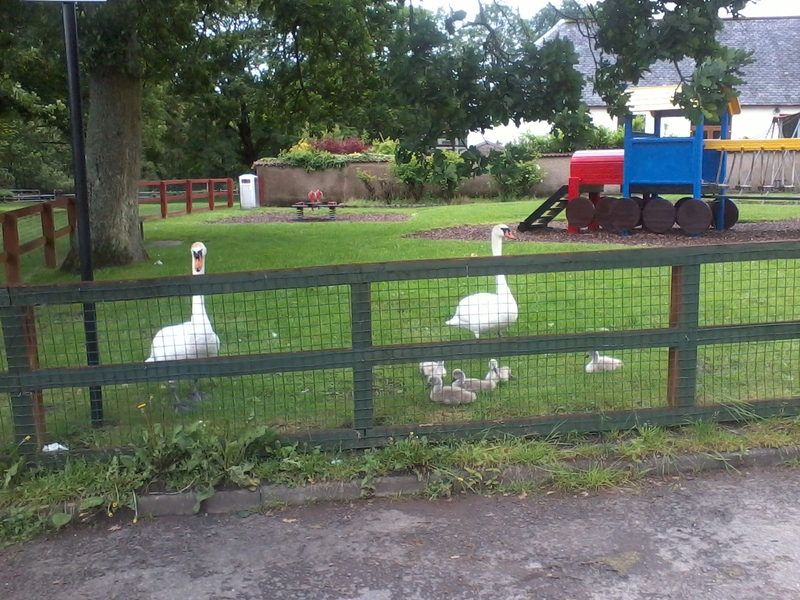 This family of swans was spotted by FWN Reporter Colin Statter early this morning, taking refuge on the banks of the River Allan in the childrens park at Mill Row car park in Dunblane. The young Cygnets are too young to ensure such a strong current, they would be swept away , the adults took the youngsters into the park during the night, once the levels drop they will safely go back into the river and continue their journey. 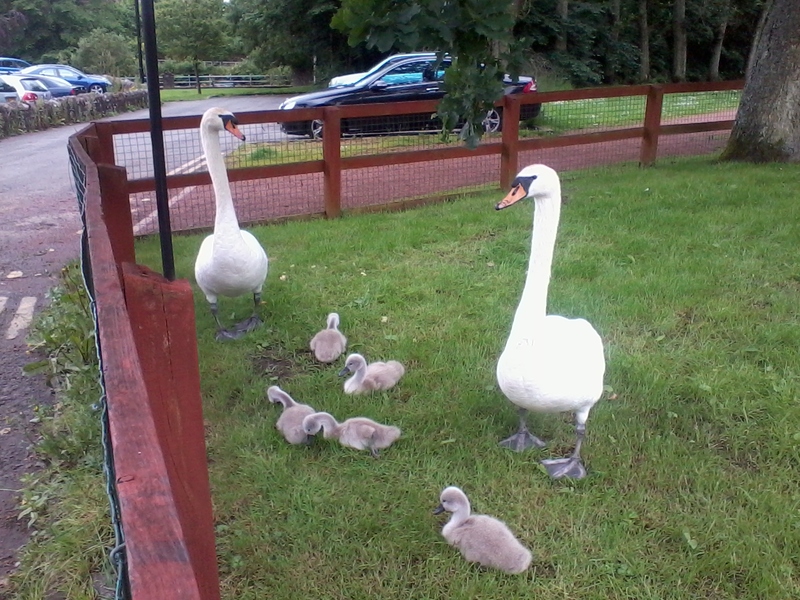 One local resident talking to Colin said that this was the first time he had seen swans in the River Allan in the middle of Dunblane. 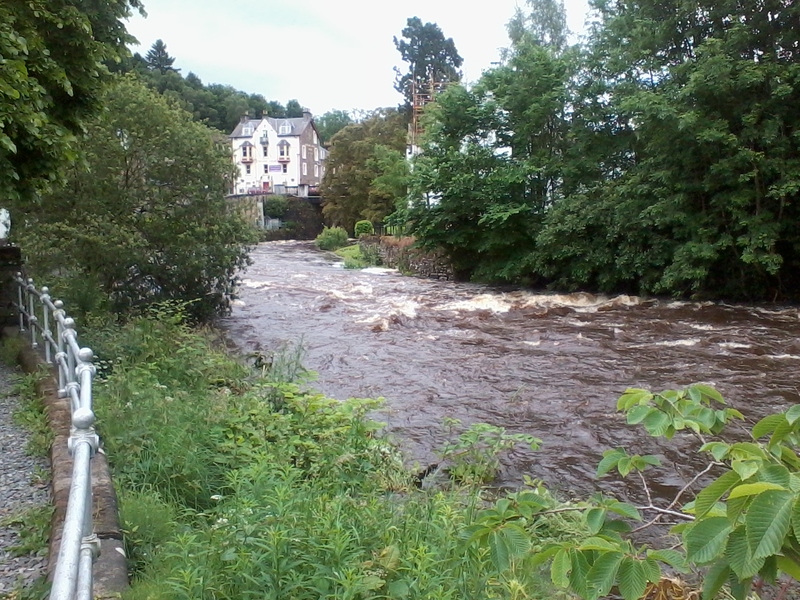 The Allan is once,again up in heavy spate the third within a fortnight, forecasters say we can expect similar weather over the next couple of Weeks.